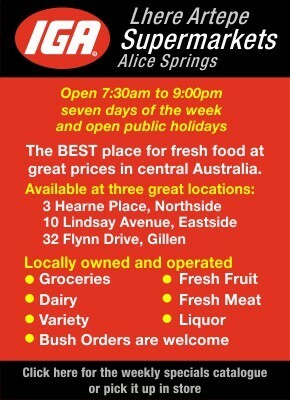 While our country endures another round of self-flagellation over the suitability of January 26 as Australia’s national day, it will probably surprise many to learn that Alice Springs and the Northern Territory played prominent roles in the history of this public holiday. It so happens that in this year, 2019, the date of January 26 – Australia Day – falls on a Saturday. In typical laid back Aussie fashion, the national public holiday has been shifted to the following Monday (January 28) to make it a long weekend. Heaven forbid we miss out on a public holiday during the week! This is a throwback to the old nation-wide convention of always holding the Australia Day public holiday on the Monday following January 26, unless the date coincided with that weekday. This was the national practice until 1994 when it was agreed by all states and territories that the public holiday should occur on the official Australia Day date, irrespective of the day of the week it occurred – except on weekends! 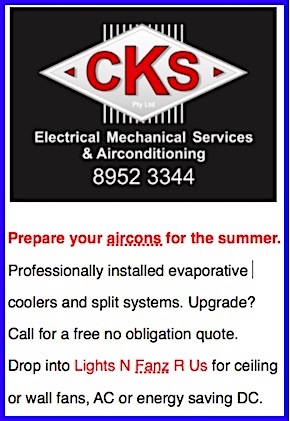 That statement must be qualified – the Northern Territory preceded the whole nation a full decade when the NT Government declared January 26 would be the fixed date for the Australia Day holiday from 1984 onwards. Now long forgotten and overlooked, why did the NT lead the way on this issue? For that answer, it’s necessary to go back to January 26, 1976, which happened that year to be on a Monday. It was thus one of those infrequent occasions when the Australia Day holiday occurred on the official date. This coincidence seems to have been the trigger for a campaign begun by the Apex Club of Central Australia to promote the historical significance of this public holiday. By year’s end, this Apex Club (it was the second in the Centre, the first was the Apex Club of Alice Springs started in 1959) embarked on a local public awareness campaign to raise the profile of Australia Day. The president, Keith Hyde – a senior agronomist based at AZRI – was the public spokesman on behalf of the club. In early January 1977 the campaign was launched with the release of promotional materials, film shows, and an essay competition for school-aged children with prizes divided between primary and secondary class levels. There ended up being three winners of the essay competition, with two secondary students awarded equal first prize – all the winners were girls, and two were sisters! Following the success of the local campaign, the Apex Club of Central Australia proceeded to take their project to a much higher level. The club prepared a motion for promoting Australia Day, including suggestions that “Apex should ensure that the Prime Minister’s address on Australia Day achieves national significance. “The national press, radio and TV media should be coordinated to recognise Australia Day. A handbook should be published, and large companies should be involved in the promotions. This motion was progressively accepted in Apex district and zone conventions, and finally gained approval at the Apex national convention at Southport, Tasmania, in early April 1977. It was reported: “This means that all Apex Clubs in Australia will now carry out special promotions through mass media and other means for the national day each year. The activity will fall under the citizenship portfolio of the association.” (Advocate, 14/4/77). In the 1970s, Australia Day did not loom large in the public consciousness; however, Anzac Day certainly did, and for several years there was a sustained protest movement by the political left to abolish this national holiday. April 1977 was no exception so, coincidentally the same month Apex began a national campaign to promote Australia Day, the Reverend Harry Griffiths (pictured at top) returned to Alice Springs to give the public address at the memorial on top of Anzac Hill on April 25. Griffiths, then 81, and his wife Dorothy had lived in the Alice from 1932 to ’52, and were immensely influential citizens of the town. A veteran of the British Army during the First World War, Harry Griffiths was an active member of the RSL in Alice Springs in the 1930s (at the time the only social club in the town). 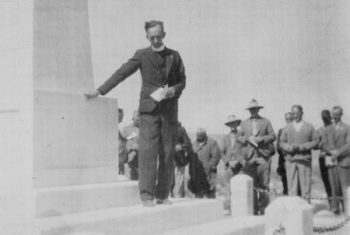 Griffiths was instrumental in establishing the RSL memorial on top of Anzac Hill, designing the obelisk and dedicating it on Anzac Day, 1934. Griffiths served as the local RSL branch president during the latter 1930s, during which time he succeeded in establishing the town’s first recreational reserve between Anzac Hill and Todd River, known now as the Anzac Precinct including the oval and old high school. Ever forthright, Harry Griffiths let fly in his address on top of Anzac Hill: “People who want to abolish Anzac Day were nitwits who don’t know what they are talking about. “Mr Griffiths said Anzac Day wasn’t glorifying war, as some people claimed, but remembering the war dead. Referring to the obelisk he designed and dedicated in 1934, Griffiths declared: “Not only RSL members should be proud of the Anzac monument, but people of Alice Springs generally should treasure it. It should be a reminder to them of the sacrifices that allowed a life of freedom.” (Centralian Advocate, 28/4/77). It’s almost as if a baton exchanged hands that month, with controversy about Anzac Day soon to shift attention instead to Australia Day. In 1978 celebrations for Australia Day in Alice Springs were ramped up. The two Apex clubs cooperated with the aid of the Alice Springs Folk Society to hold a free concert in front of the Commonwealth Government Centre (now the Alice Springs Police Station) during Monday evening, January 30. A crowd of several hundred attended the event and it was considered a great success. The Folk Society gave a rousing performance, notably Dave Evans, Bob Barford, Scott Balfour, and CSIRO scientist Barney Foran, who also entertained with renditions of poetry. The same format was presented the next year with an Australiana-themed folk music and poetry concert at the Commonwealth Centre on Monday, January 29, 1979. The public was reminded: “And if Apexians, who are helping to organise the folk festival, have their way it could be the last time Australia Day festivities are held on a special Monday public holiday. 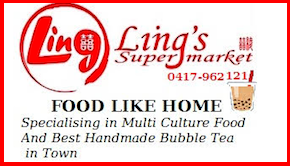 The review noted the Apex Club of Central Australia – Folk Club concert attracted “a good crowd of 500 people. But at least nine tenths of the participation was by the highly talented and enthusiastic members of the Folk Club. “We were told what it has meant to be an Australian since Captain Phillip founded his country’s giant prison farm almost 200 years ago. But the feeling with which we were left was one of nostalgia for something lost rather than inspiration for the future. “The grand spirit of the outback was lost in the second half of the show as singers reminded us of the modern dilemmas facing “Poor fellow, my country”. “We laughed at the public service, saw how the land and seas had been scarred by mindless progress, and mourned the passing of the Aboriginal way of life. “By the time we got round to the national anthem ‘Advance Australia Fair,’ there wasn’t much to celebrate.” (Advocate, 1/2/79). The dispiritedness continued: “A call by 8HA talkback host Jeff Huddlestone on the subject of how Australia Day should be celebrated provoked a total response of nil phone calls. “The general apathy about the subject has moved Central Australian Apex man Dave Gillatt to once again push the idea of holding the actual holiday on January 26. In this way, say Dave and his supporters, Australia Day would be special, like Anzac Day – not just another opportunity for an extended booze-up in natural surroundings.” (Advocate, 1/2/79). 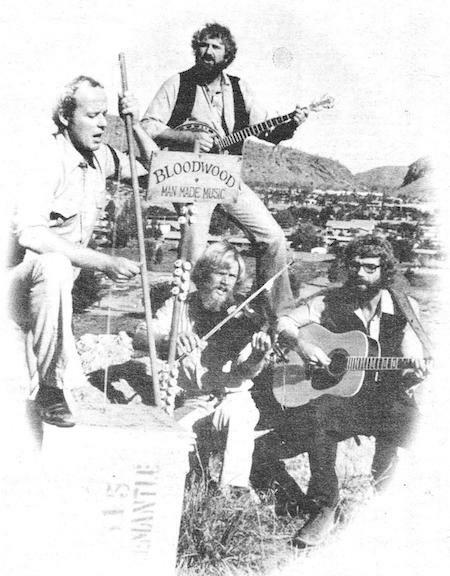 Though local enthusiasm seemed to have dimmed, yet there was movement afoot – for one thing, the dominant Folk Society performers (Evans, Barford, Balfour and Foran) founded their new band “Bloodwood” (pictured) which became a fixture of the Alice Springs music scene throughout the 1980s. But it was on the Federal scene that a major step forward occurred, when during 1979 the Fraser Government established a National Australia Day Committee in Canberra to oversee future nation-wide celebrations of the national day, later to become the National Australia Day Council. This new organisation took over the role of the Federal Australia Day Council which from 1946 had been responsible for the promotion and public education of the significance of Australia Day. Notwithstanding the three decades this body had been in existence, it wasn’t until Apex had resolved from April 1977 onwards to push for greater recognition of Australia’s national day – from an initiative begun in Alice Springs – that this objective gained real impetus. Each state and territory established its own Australia Day councils, with many Australia Day committees established in towns and cities. It appears there was a hiatus in Australia Day activities in Alice Springs in 1980; the notable exception being a column by NT Labor Senator Ted Robertson (pictured) who became prominent in his support of Australia Day in the early 1980s. In 1981 there was more publicity; and in this year the date of January 26 fell on a Monday. Once again a free outdoor concert was scheduled for outside of the Commonwealth Centre in Parsons Street but was hastily relocated indoors at the Alice Springs High School (now Centralian Middle School) when wet weather threatened. This time the concert program featured a much wider range of performances reflecting the ethnic diversity of the town. It was also the time when the slogan “One nation, one future” first came into use. 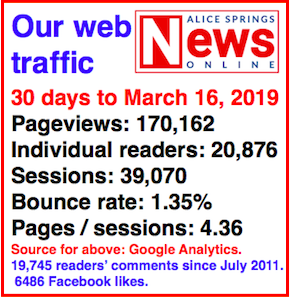 By this time responsibility for functions was taken by the Alice Springs Australia Day Committee, and the two Apex clubs in the town were part of numerous sponsors for the events. However, the Apex Club of Central Australia wasn’t completely dealt out of the equation, for in 1982 this group coordinated the inaugural Centralian of the Year award with the Australia Day Council. 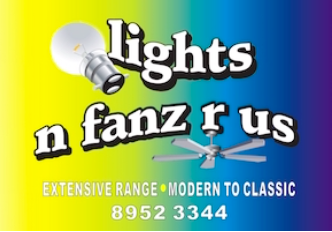 The first winner was Mrs Joan Higgins, the director of the Alice Springs Youth Centre. It was also in 1982 that promotion of Australia Day increased significantly; for example, for the first time a two-page feature was published in Alice Springs including statements by Administrator Eric Johnston (also patron of the Northern Territory Australia Day Council), Mayor George Smith, and Chief Minister Paul Everingham. Much the same occurred again for 1983, with the date this year occurring on a Wednesday. In Alice Springs the first protest occurred, when a number of Aboriginal people and supporters gathered on the town council lawns and hoisted the Aboriginal flag in defiance of a council ruling. It was also the day that the NT Government made an announcement: “Chief Minister Paul Everingham said no matter what the rest of Australia may decide, Territorians will next year have the Australia Day holiday on January 26. “Let’s hope it won’t be too long before the rest of Australia gets into line,” he said. “While Australians were fiercely patriotic about sport they seemed far less enthusiastic about their national day. “That’s probably no wonder considering past disputes between state and Commonwealth governments about which date is officially Australia day and how it should be celebrated,” he said. And so it was that in 1984 the Northern Territory became the first jurisdiction in the country to secure the Australia Day public holiday on the date of January 26, irrespective of the day of the week it occurred. The rest of Australia “got into line” a full decade later. But there’s more to this than meets the eye. Paul Everingham was once an active member of the Apex Club of Alice Springs (the original club in town) and its president in 1971-72. It was in 1972 that the Apex Club of Central Australia first began. It was Everingham who suggested Alice Springs should host the National Apex Convention which occurred in 1974, bringing 1200 interstate visitors to town (population then just over 13,000). It’s also relevant to note (I think) the context of the times when Alice Springs and the NT were so prominent in the cause of promoting Australia Day. It was in the heady days of transfer of Commonwealth control to the Territory when self-government commenced; and the NT was awash with Commonwealth money that aided an enormous development boom. Even in the early 1980s when Australia fell into recession, the Territory continued to steam ahead and there was an abundance of optimism. This situation still applied in January 1983 when Everingham declared the NT would lead the nation by affixing the Australia Day public holiday to January 26. Soon afterwards, the wheels began to fall off the cart when the Fraser Government lost office in early March 1983, and there began a new dawn of reality as the Hawke Labor Government asserted its own policy decisions against the wishes of the NT CLP Government. In early December 1983 the CLP won 19 seats out of the expanded 25 seat Legislative Assembly but this further entrenched the opposing positions of the Hawke and Everingham governments. On January 26, 1984, the Northern Territory became the first jurisdiction in Australia to observe the Australia Day public holiday on a Thursday and thereafter on every other day of the week in succeeding years – but by then the days of good fortune that had been smiling in the early days of self-government was drawing to an end.